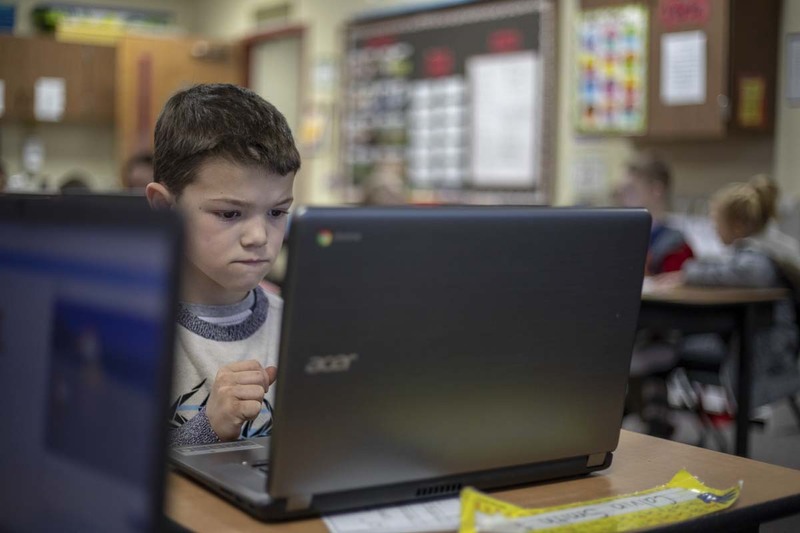 VANCOUVER — Second graders are learning to code at King’s Way Christian Schools. Well, not quite computer coding as we might imagine or know it, but these second graders are learning the basic methodologies of coding nonetheless. At the beginning of the 2018-2019 school year, Kingsway began implementing new levels of technology, and the study thereof, into their classes. 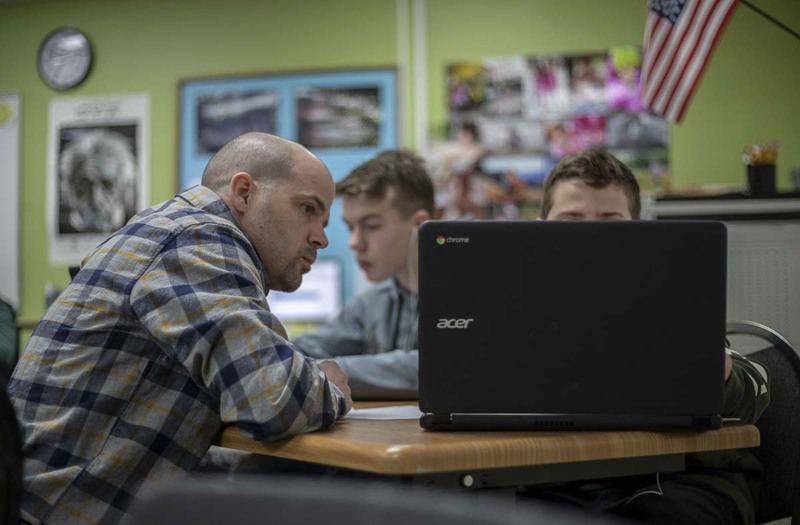 By way of laptop carts, new softwares and a new teacher to explain it all, the school has begun using tech to hopefully set students up for jobs that do not exist. Yet. 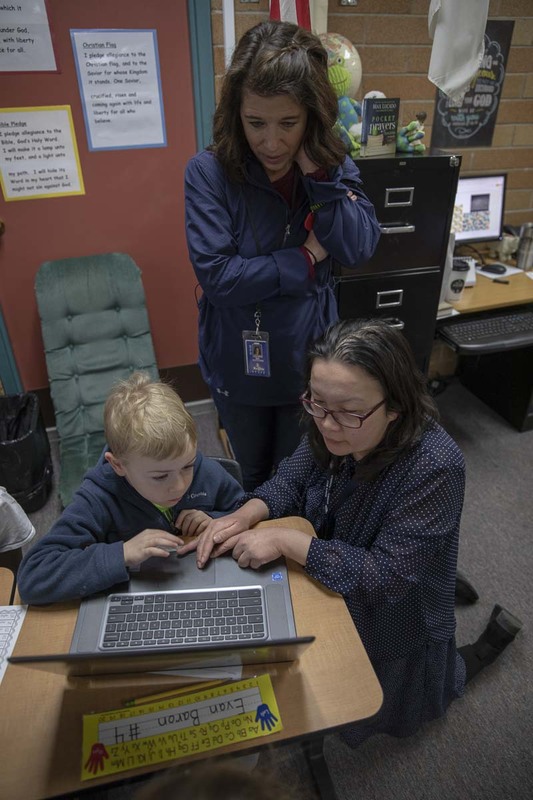 Christine Nguyen is King’s Way’s technology teacher and digital learning coach. She moved to Clark County from Colorado Springs one and a half years ago, and was trained as one of the first teachers at Vancouver Public Schools’, iTech Preparatory. Now she is teaching K-5 and occasionally middle and high school students, the value of ever-changing technology. Those connections are often built on the efficiency of the technology tools. Software can give near instant feedback on math problems and computer coding games, which allows the teacher more time to engage with students with less grading time, Nguyen said. The technologies also allow for personalized learning experiences. The relational end of the program results from teachers being able to adjust instruction styles to fit the learning styles of many students. Whether a student learns auditorily, kinesthetically, verbally, or visually, elements of one or all can be factored into the programs and software. Nguyen said the model is designed with the hope that some of the most memorable learning will occur through technology. Nguyen emphasized that in her experience, technology is often seen as a negative influence and not utilized, or overused and too heavily relied upon. She said one of her goals is to remove those views of technology in education. Programs currently in use include a coding game software known as Scratch and artificially intelligent software, Assessment and Learning in Knowledge Spaces, or ALEKS. Scratch was developed by the Lifelong Kindergarten Group at Massachachusetts Institute for Technology, (MIT), Media Lab. The basic principles behind the colorful blocks that generate movement and change on the screen, are the same as those used in coding commands into computer software by college students. 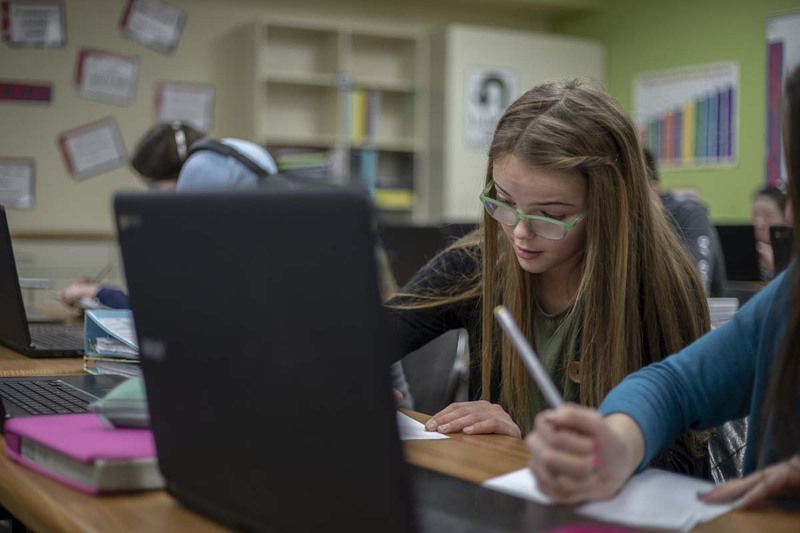 ALEKS, developed by education materials giant, McGraw-Hill, is used by King’s Way Middle School students to solve math problems. The curriculum allows the students to go through questions and then receive instant feedback on their score and what they need to improve. Nguyen said the school hopes to expand her part of the program further into the middle and high school in the days to come. For now, she is focused on working with those teaching K-5, like Hutchin.